What is Tech for Kids? What are our goals, our mission? Tech for Kids is College Regina Assumpta’s multidisciplinary project centered around robotics, science and technology. 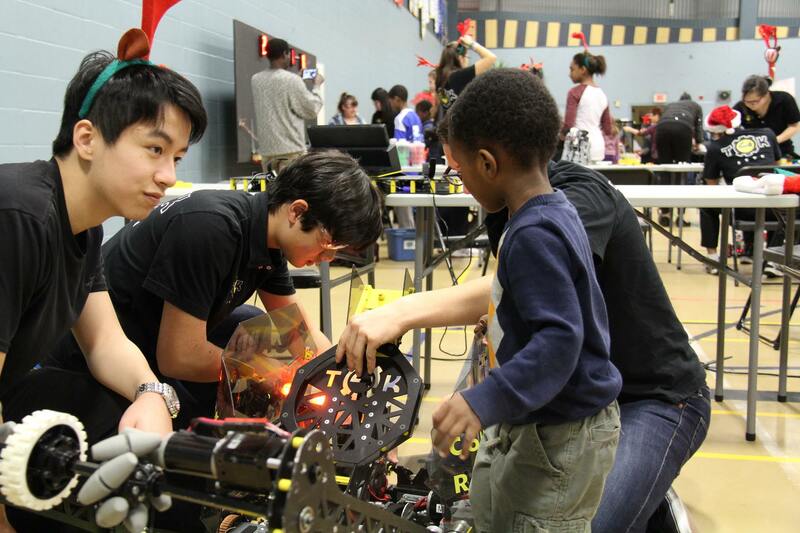 The robotics team, Team 3990: Tech for Kids, annually participates in the FRC, FIRST Robotics Competition. In Quebec, FIRST stands for Fostering Inspiration and Recognition of Science and Technology. In the US, FIRST means For Inspiration and Recognition of Science and Technology. Since 2012, young people, together with professional and academic mentors headed by Mr. Sylvain Gauvreau, a science and technology teacher, build a new robot capable of meeting the challenges set by the FRC. Moreover, outside of the competition season, the team organizes activities and robotics workshops for disadvantaged youth with physical disabilities in the metropolitan region of Montreal. The team members attend training sessions for programming, mathematics, engineering, electrics, pneumatics, project management, communications and finance, in addition to the promotion of robotics as a tool to promote student retention. Want to know more about our mission, our history and our goals, see the following articles. Tech for Kids is a multidisciplinary robotics program focuses on three objectives: student retention, teacher training focused on science and technology, and an environment for personal and intellectual growth of each student. Since 2012, Tech for Kids shines throughout Quebec, Canada and internationally. In her first year, she won the international award for best rookie team of the FRC at the World Championship in St. Louis, and Quebec champion since 2012. Resourcefulness, support, confidence. These are values that we try to share through our community involvement. Indeed, small flames we managed to light in the eyes of children during our various workshops helped us realize that community involvement and support can be beneficial for both the giver and the receiver. Tech for Kids is more than 400 children in the Montreal community and its surroundings that hit close to science and technology by participating in robotics workshops. The team is currently associated with three community organizations: The Dr. Julien Foundation, The Revival Youth and Families and Children Foundation in mind. They are disadvantaged or with disabilities, the team wants to show them that anything is possible, that we should not be discouraged, everyone can do it. 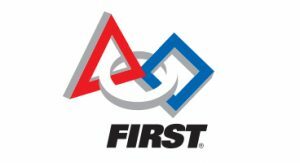 FIRST is an organization founded in Manchester (New Hampshire, United States) in 1989 by Dean Kamen, an American entrepreneur anxious to spread his passion for science, engineering and technology among young people in primary and secondary, to encourage them to become the leaders of tomorrow. 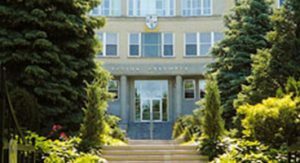 Founded in 1955 by the Congregation of Notre Dame, the College Regina Assumpta is a private secondary school, mixed which provides quality education to over 2200 students.